A Terminal High Altitude Area Defense (THAAD) interceptor is launched during a intercept test, in this undated handout photo provided by the U.S. Department of Defense, Missile Defense Agency. Due to a number of limitations the THAAD missile defense system does not directly pose a major risk to Russia and China. However, Moscow and Beijing still see a potential threat, which does not come from the missiles but the system’s radars that would allow U.S. to monitor launches of Russian and Chinese intercontinental missiles. Despite the U.S. and South Korea repeatedly claiming that THAAD poses no threats to China or Russia, and is being deployed to defend the South from North Korean missile launches, Moscow and Beijing still harbor serious concerns about the deployment. Their worries are not about interceptor missiles, but about its radar. On terminal-based mode, the AN/TPY-2 radar’s range is limited to just 600-900 km, which only marginally affects the territory of China, not to mention the more remote Russia. However, it is technically possible to switch the same radar to the forward-based mode. In this case, its range will increase to 2000 km, capturing the already very large territory of China and some parts of the Russian Far East. Will Pyongyang's latest missile launch reinforce a Korean arms race? At the same time the Koreans and Americans can cooperate in building other defense areas. The U.S. does not hide the fact that it expects South Korea to be more proactive in this direction. A few years ago, Seoul assured Moscow at the highest political level that the THAAD would not be deployed on its territory. 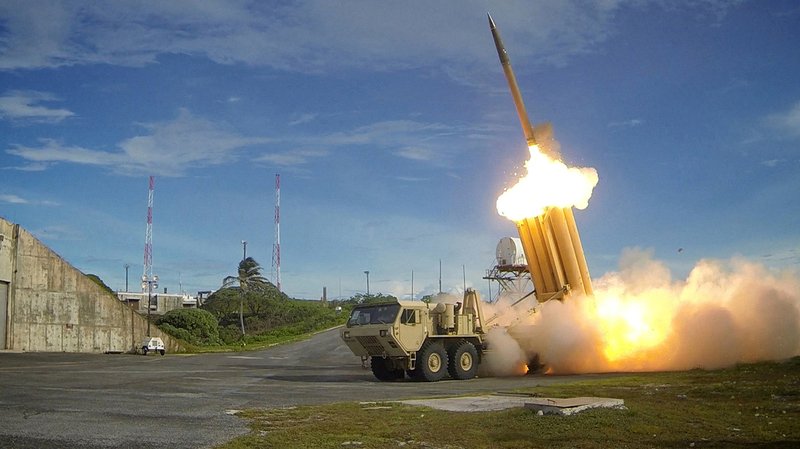 Thus, even the existence of a single THAAD missile battery on the Korean Peninsula can be a seen as a tactical gain for America’s global missile defense plan. Seoul may eventually go the way of Tokyo. Japan actively participates in the creation of a missile defense system aimed at containing China and Russia. The deployment of the THAAD on the Korean peninsula may also provoke an arms race in the region. The American deployment will obviously not stop North Korea in its efforts to perfect missile technology. On the contrary, now Pyongyang will work on its missiles with renewed vigor, and attempt to create a system that would be able to overcome THAAD. This implies the improvement of current ground-based systems and the deployment of ballistic missiles and submarine-based missiles that could be launched from those areas, which are out of the coverage area of the AN/TPY-2 radar. The result is a vicious circle, where the appearance of one system only fuels the desire of the enemy to create more powerful weapons. China and Russia will also respond to the increased American presence in South Korea. We finally end up with the classic pattern of an intensifying arms race in the region. The THAAD missile defense system, which the U.S. is reportedly sending to South Korea in June 2017, covers a large part of the country, excluding Seoul. The ‘umbrella’ covers important military and economic facilities in South Korea as well as U.S. military facilities. THAAD will become the second-tier missile defense of South Korea and can help intercept missiles at altitudes of 40-150 km and ranges of up to 200 km. The bottom layer of the Korean missile defense will be represented by PAC-3 systems that can intercept missiles at altitudes up to 25 km and ranges of up to 40 km. As indicated by military experts in South Korea and the United States, the THAAD missile system will not be able to intercept China’s and Russia’s Intercontinental ballistic missiles (ICBMs) in the hypothetical case of a conflict between either country and the United States. THAAD’s ‘ceiling’ is limited to 150 km, so missiles flying at altitudes up to 1,000 km are out of range.